Yes, massive China construction in the South China Sea is cause for concern. In an April 11 article in The Diplomat, University of Macau Assistant Professor Dingding Chen asserts five main reasons why the rest of the world should “relax” about China reclaiming land in the South China Sea*. Each of his arguments, which I summarize and critique below, is questionable, and he fails to prove his case that observers are wrong to worry. 1. The other claimants have also carried out land reclamation. True, but as Prof. Chen acknowledges, China’s activities are “different in terms of speed and scope.” China is undertaking massive and extremely rapid land reclamation, while the construction work by the other claimants has been modest and gradual, mere tinkering by comparison. This is not surprising, since China is a large country with massive resources. But it reinforces the general observation that while all the claimants have to some degree attempted to unilaterally strengthen their claims, China has done so more forcefully than all of the other claimants combined. Prof. Chen’s denial of “offensive intentions” on the part of China is meaningless here. China claims to be defending territory it owns in the South China Sea, but several other governments make the same claim. From their standpoint, China’s intentions are offensive. There is a dispute, and the question is whether the parties settle it through peaceful negotiation or through reliance on force. The land reclamation is further evidence that China intends the latter. There is little question that Beijing prefers to win without going to war, but this is irrelevant. 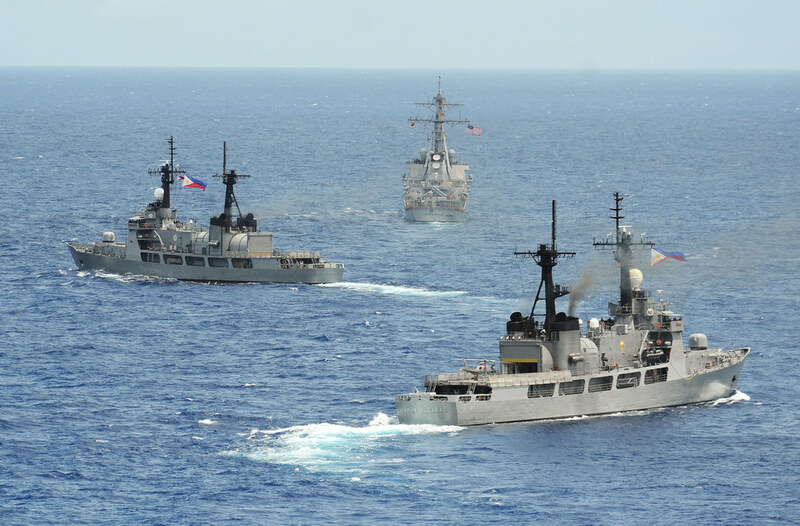 China’s South China Sea policy employs coercion and intimidation, taking advantage of the PRC’s relatively large military and quasi-military assets. The obvious intent is to force the other claimants to relent and settle the issue on China’s terms, beginning with Beijing’s demand for separate bilateral negotiations with each rival claimant, an approach that would amplify China’s leverage. From China’s viewpoint war may be unproductive, but clearly bullying is not. Indeed, this is Beijing’s way of winning without outright war. The desire to avoid war does not preclude a strategy that exploits the adversary’s desire to avoid war. 3. Because China is still a “developing country” with many internal political and economic challenges, its foreign policy will be cautious for decades to come. By now everyone is familiar with the line that a relatively strong China is not a threat to any other country because what China really wants is economic development. There are two parts to this argument. The first is that since China is still poor by some measures, it could not afford to go to war. The counter-argument is that eradicating poverty at home is not a necessary precondition for fighting a war, even an elective war. Superpower America has millions of inhabitants living in Third World conditions. China’s “developing” status has not prevented the country from carrying out a rapid military expansion and modernization with an ever-expanding budget that is now the world’s second largest. The second poverty-causes-peace argument is that China’s dicey internal situation makes PRC leaders risk-averse in foreign policy because war would create so much additional strain on society that angry crowds might overthrow the regime. This argument, however, overlooks two important countervailing points. First, regime insecurity can create an incentive for as well against war. In some circumstances a government welcomes an external conflict as a means of diverting attention from the failures or unpopularity of national leaders and as a method for manufacturing patriotic support. Second, in a conflict widely viewed as challenge to national territory and honor, it may well be more risky to the regime to forebear rather than to fight. The Chinese public is quick to disparage national leaders perceived as lacking the fortitude to stand up to foreigners, especially smaller neighboring countries. 4. Beijing’s “explanation” is a “positive sign” that “the outside world should welcome.” Prof. Chen was referring to PRC Foreign Ministry spokeswoman Hua Chunying’s March 3 statement regarding the South China Sea land reclamation. Hua’s statement first repeated the intentionally vague yet sweeping official position – dismissive of the United Nations Convention on the Law of the Sea, of which China is a signatory – that “China has indisputable sovereignty over the Nansha Islands and their adjacent waters.” Then she went on to say that China’s land reclamation projects were not solely intended to project PRC military power, but would also help China carry out civilian activities such as search and rescue, maritime safety and weather reporting that would benefit countries other than China. So after weeks of international commentary on satellite photos showing massive, previously unacknowledged Chinese land reclamation efforts* in a disputed area, the Chinese government authorized an official statement that spins the project as an international public good. I suppose we could call this a “positive sign” in some sense. But if Prof. Chen really intends to persuade the other claimants and even non-claimants that PRC construction of larger military bases in the middle of the South China Sea is a positive development for international affairs, he is merely a purveyor of PRC propaganda. 5. Anxiety over China’s South China Sea policy is tantamount to “threat inflation and overreaction, which often are sources of unnecessary conflict.” If Prof. Chen is asking foreigners not to “inflate” or “overreact” to a Chinese policy they find alarming, we might recall some of the innumerable occasions on which PRC official spokespersons or their apologists complained hyperbolically about Japan taking an incremental step toward a normal security policy after decades of liberal democracy and good international citizenship, blamed “hostile foreign forces” for political or ethnic discontent inside China, criticized the United States for “stirring up trouble” in the region by responding to demands for more security cooperation, or alleged that the U.S. government is attempting to suppress China’s growth. The Chinese argument that foreigners should submit to Chinese policies they don’t like or the result will be an “unnecessary conflict” is obviously self-serving, but it is also illogical. If regional governments cannot abide the prospect of a PRC sphere of influence in maritime East Asia that carves off some of their vital interests, it is better – and necessary – that they raise objections now rather than unintentionally signal their assent, artificially inflating Chinese aspirations and thereby creating conditions for a more serious conflict in the future. Denny Roy is a Senior Fellow at the East-West Center.